Each Dorm at the Dingle Harbour Hostel features a flat-screen TV with satellite channels, an en suite bathroom, and fully dressed bunk beds. Beautiful terrace area looking over the expanse of Dingle Harbour. Breakfast restaurant and cafe on site. 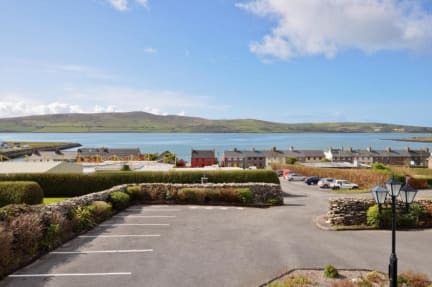 Situated between the picturesque Irish countryside and the coast, Dingle Harbour Hostel offers easy access to sailing, cycling, golf, horse riding, wildlife tours, and diving. Free Wifi, Comfortable lounge seating area with large flat screen TV. Staff were amazing. So friendly, and helped with everything. Had the entire dorm to ourselves, clean and well maintained. Highly recommend!! Great location was great! 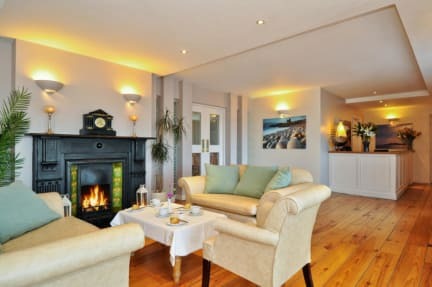 Short walk to shopping, dining and attractions or a short drive in the other direction to the Slea Head Loop. The breakfast was fantastic, with choice of continental buffet or full Irish breakfast. The front desk staff were amazing, giving us great advice for where to go for food, what to see and were SO helpful when our rental car broke down. Absolutly 5 star staff. The room was as expected for a dorm room. We were lucky to be the only two there! Very few outlets! This is the nicest hostel I have ever stayed at! Really, it was more of a hotel than anything. My friend and I stayed here for two nights and our experience could not have been better. We payed for a 10 person mixed room that we got all to ourselves. The room was extremely clean and comfortable. Additionally, after a full day out in Dingle we returned to the hostel to be met with tea and biscuits. We could not have stayed at a better place! The people there were lovely and we (as many others who’ve stayed there, it seems like) had the hostel to ourselves the last couple nights. It IS more of a B&B than a hostel, and there aren’t proper cooking facilities—but in face of how nice and clean and sweet the rest of the stay was I am a major major fan. Location is kind of ideal. Overall, the hostel was greatly located, had friendly staff, amazing sceneries and clean facilities. We had a mixed 12 bedroom for ourselves. It was very quiet since we were there during the offseason. Can only imagine how fun Dingle must be in the summer. Everything was brilliant however the people in our room were extremely nosy and didn’t let us sleep for the whole night. Obviously this was not the accomodations fault but it did have a bad impact on my friends and My holiday. However, the staff could not of been more helpful and friendly and the beds were very comfy! This Is a hotel with dorm beds. Not your typical hostel. I got a 12 bed dorm to myself . I'm not complaining though I enjoyed some quiet time. Very clean and new, and felt more like a hotel. I wonder if nobody knows about this hostel, because it was empty except for the people I was with. No real atmosphere, and no kitchen. Not far from town, but not in the mix either. If I came again, I might choose somewhere where I could meet other people, but this place is clean and they even provide toiletries, so it depends on what you’re looking for! Older building so it smelled a bit musty. The front desk lady, whose name I wish I knew, was incredibly friendly and our favorite part of the hostel. We were lucky enough to be the only ones in our 12 bed room (4 people). 6 bunks in that room is a bit tight. You wouldn't be able to get to luggage crates under the beds for some. Bathroom was way too small and door hits toilet when you open it. Wifi was terrible and only worked in the lobby. Dingle is small so walking everywhere is very doable.